I've noticed in the past 3 weeks that Kailee has become a certified *Drama Queen*. She would burst into tears almost always whenever we say no to her wishes. I was amazed on how she can turn on the waterworks in a snap! Amazing! I think at first, my Panget and I laughed about it. But as the incidents became more and more - it has become irritating as hell. This is not a *Drama* incident. It's just a funny picture I took of her crying. While we were on vacation she was a drama queen. I think she thought that she would be getting away with it. But I let her cry and scream her lungs out. I would always tell her that being like that will not help her get my sympathies. At times, she would listen and know what to do, but more often - she won't. She's being a child - well, she is a child after all! This morning, after her Father's Day activity, we went to QC to have a meal. She asked for noodles and so I ordered for her. When it arrived, I prepared a bowl for her and cut the noodles up. She then stared at with with a frown demanding that she wanted to watch TV. So I asked the waiters to turn on the TV to Disney Junior. She then had her eyes glued to the TV and did not eat. I called her attention. She didn't respond. I raised my voice to her and she ate - just 2-3 spoons full. Then her eyes glued to the TV again. I got angry and called her attention in a very loud voice that startled her. But she didn't respond, so I asked the waiter to change the channel. There, she screamed and cried and threw a tantrum. I looked at her and said that I will not speak to her until she calms down. And I didn't mind her. When the time came to leave. I picked up my bag and hers and proceeded to leave the table not minding if she would follow or not. She was crying and followed me. Honestly - I don't know what to do anymore. I'm exhausted from this already. 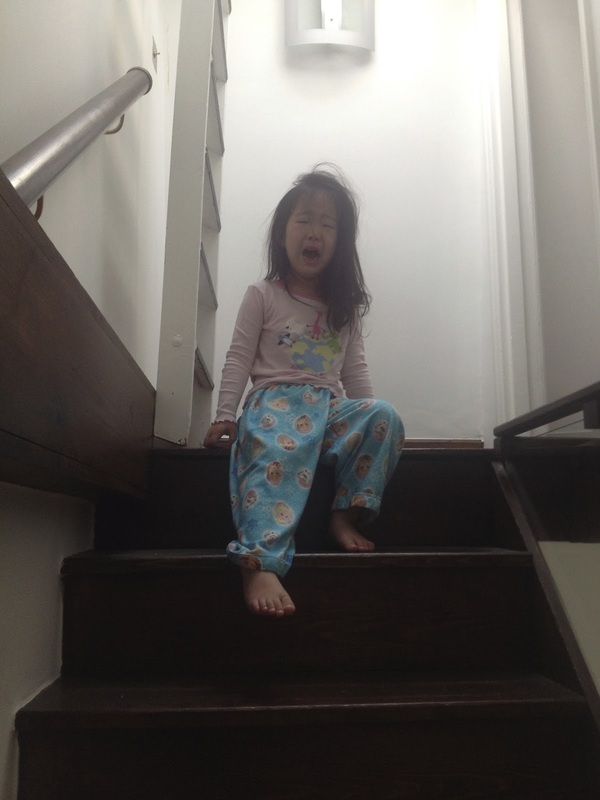 I don't have the energy to deal with her and her tantrums. I know it's bad - but that's what I felt like. I try and reason with her but what I get are incredulous lines, reasons and blabber. I often kick myself and say why I even allow her to reason out! I know kids are perceptive. They are smart. But I don't want to instill fear in them so as just to follow me. I like some sort of democracy - but I guess, this is what a democracy is. I'm confused now as a mom. I'm sure there are a lot of confused mothers too. Can anybody help me? I'm really growing tired. Kailee is a good child overall. It's just when she throws a tantrum or turns on her drama queen mode that, I want to scream my lungs out at her. But I know screaming will not help. Kelangan na ba ng meditation? P.S. #OTWOL is keeping me sane. HONESTLY. We're still figuring that out from our toddler but when she does make tantrums, the partner and I try to take her into our room (or any private area) and try to talk some sense into her or let her cry out until she calms down by herself. Basta, we try our very best not to scream or shout and keep our voices really soft. My eldest son just turned 3 a few months back and learned to throw the worst of tantrums where he'd force himself to cough to deliberately trigger his gag reflex when he doesn't get his way. I'm so clueless where he learned it from and more clueless how to deal with it. My husband and I say "no" in the sternest but most calm way we can, and then ignore the behavior so he hopefully gets it's not the way to get our attention. Most instances it works, but I feel you when you say it can get irritating! P.S. If you know where we can purchase extra doses of patience let me know too. Hahaha! Framework packs on muscle in record time without the admission of additional fat accordingly keeping you incline while in the meantime Pro Muscle Fit building muscle to any level you need to accomplish The framework tailors to your particular anabolic dietary needs utilizing four protected recipes These equations were tried and changed for quite a long time by. My son turned a year and a half just recently and I can see he's started throwing tantrums as well. And I'm still trying to figure out how to best cope with it. Nakakaloka pag naggaganun na siya. haha.